Former President Alvaro Uribe is currently on campaign in support of his allies in upcoming elections. Colombia’s Supreme Court ordered the investigation of former President Alvaro Uribe for allegedly fabricating claims and manipulating witnesses to discredit a political opponent. According to the court, there is evidence that indicates Uribe was involved in manipulating witnesses to support false claims against socialist Senator Ivan Cepeda. The former president responded on Twitter, saying the court was persecuting him. Uribe said he would continue his “search” for imprisoned former paramilitaries to defend him. 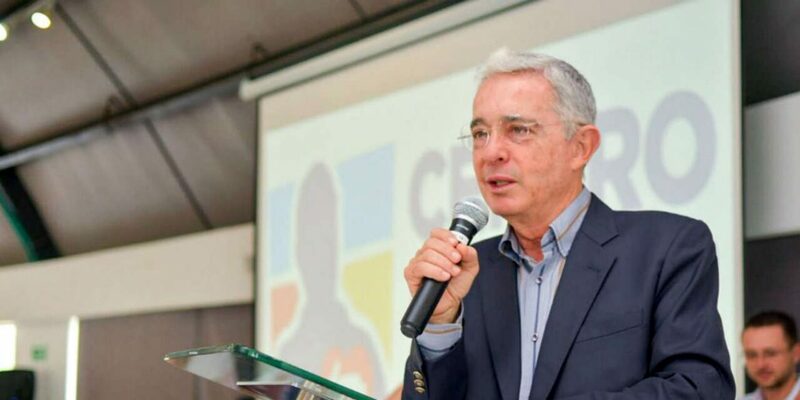 Cepeda has been investigating Uribe for years and in 2012 filed criminal charges against the former president for his alleged involvement in the formation of a death squad in the 1990s. The former president sued the senator weeks before a 2014 congressional debate about Uribe’s alleged role in the formation of paramilitary groups. The witnesses who supported Uribe’s claim had been coerced into lying, according to the Supreme Court. The case against Cepeda is similar to debunked charges filed by Uribe against former Supreme Court investigator Ivan Velasquez a few years before. Uribe brought forth a former paramilitary fighter, “Tasmania,” who claimed Velasquez had tried to bribe him in the investigation against the former president’s cousin, former Senator Mario Uribe. The witness eventually withdrew and Uribe’s cousin was sentenced for using death squads to intimidate voters into electing the elite politician into congress. The new investigation into Uribe is the latest of a long list of criminal investigations that include the hard-right politician’s alleged complicity in massacres, land theft, and the formation of paramilitary groups. The former president’s brother is in jail while on trial for allegedly founding another paramilitary group. Uribe’s late father and older brother were close to the Medellin Cartel of late drug lord Pablo Escobar. Despite the former president’s association with drug traffickers and death squads, he continues to have a loyal following among hardened conservatives in the divided South American country.